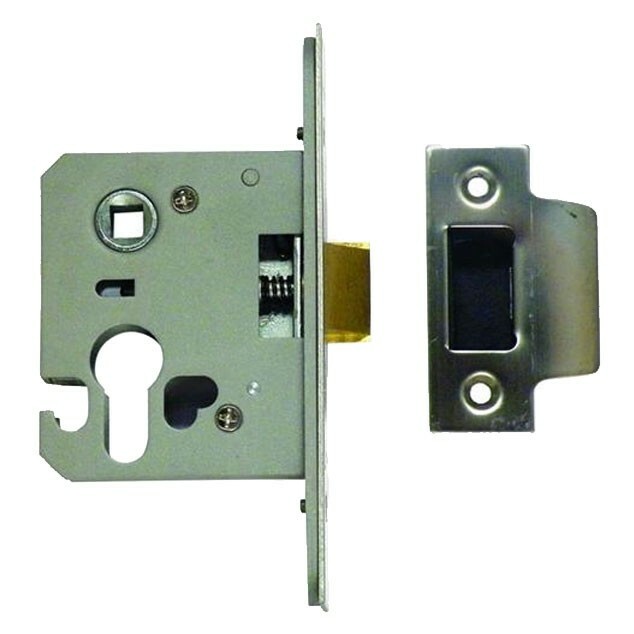 Eurospec E*S 5025 Euro Nightlatch Case equivalent of the Union L2332. Latchbolt can be held in the withdrawn position by use of the snib in the forend. Has an additional faceplate without a cutout for snib. Supplied with strike plate complete with plastic box keep and fixings.